The following is excerpted from Nathan Ward’s The Lost Detective, a new book about the early life of Dashiell Hammett, one of the greatest crime writers in history. During the winter of 1932, Sid Perelman saw Dashiell Hammett back in New York, at the Sutton Club Hotel on East 55th Street. To land there, Hammett had burned through his remaining movie money at more luxurious establishments, living lushly at the Hotel Elysée and the Biltmore and the Hotel Pierre on 5th Avenue, where he was finally stranded in his suite, unable to settle his bill of a thousand dollars. Word reached his friends, who invited him to join the group of literary guests (James T. Farrell, Erskine Caldwell, Herbert Asbury) living cheaply at the nearby Sutton, a good place to work if you were close to broke and didn’t care, for the time being, about ugly furniture or bad coffee. Hammett contrived a scheme for sneaking out on his bill at the Pierre: “His knowledge of the mentality of house detectives provided the key,” Sid Perelman recalled in a memoir. “Hammett decided to use fat as a subterfuge. He pulled on four shirts, three suits, innumerable socks, two lightweight ulsters, and an overcoat, cramming his pockets with assorted toiletries. Then he puffed out his cheeks, strode past the desk without a glimmer of suspicion, and headed for the Sutton.” There, when the faux fat man arrived, Perelman and others were all gratefully ensconced with their own projects. Hammett brought his own. The Sutton Club was a serviceable new establishment managed by Sid Perelman’s brother-in-law, Nathanael “Pep” West, who offered his empty rooms to a clientele of deserving writers. Ability to pay was not the main criterion for West in sneaking in his literary guests in his unof­fi­cial writer’s colony. West himself had so far written one unpublishable novella, and was working on his first short masterpiece, Miss Lonelyhearts, about a newspaper advice columnist with a Christ complex, which Hammett would read in manuscript while a guest at the hotel. West put three grubby rooms together for Hammett and classily dubbed it the Diplomatic Suite. Hammett would stay eight crucial months. I had known Dash when he was writing short stories, but I had never been around for a long piece of work: The drinking stopped, the parties were over. The locking-in time had come and nothing was allowed to disturb it until the book was finished. I had never seen anybody work that way: the care for every word, the pride in the neatness of the typed page itself, the refusal for ten days or two weeks to go out for even a walk for fear something would be lost. He may not have feared only that something would be lost, but, given how things had unraveled on the West Coast, that something already had been. But, in an impressive last stand, he finished the book, against which he had already borrowed several times from Knopf. It was not his best work, but it would become his most popular, especially in combination with the series of films it inspired. He had spent eight comparatively spartan months at the Sutton. After pulling the final page from his typewriter and turning in the manuscript in the spring of 1933, he was back briefly in the black, and the time for “locking-in” and discipline was over. Liquor was again legal. The book he had written, in addition to its central mystery plot about the search for a missing inventor, Clyde Wynant, over several days in December, was also clearly an account of what it was like to be suddenly wealthy and an ex-detective from San Francisco, spending as quickly as the money came in and bantering with your sophisticated lady friend at a series of parties and Manhattan hotels. Sometimes in his bathrobe, having scotch for breakfast, Nick Charles is a burnt-out case moved to do things mainly out of love for his wife. “We didn’t come to New York to stay sober,” he reminds her when events threaten his Christmas plans. Up from the lobby of his Hotel Normandie come a host of characters from his detecting past. The adventure seeks him out, buzzed and resistant as he is. Even when wounded by a bullet, he is in his hotel bed, throwing a pillow in defense. Nick Charles is three things rare in a good detective: drunk, famous, and accompanied usually by his charming wife. Nothing about The Thin Man seems especially dangerous, just as its protagonist is retired from the active line of fire himself. The comedic mystery was new when Hammett produced his final published novel, which opens with Nick waiting in a 52nd Street speakeasy while Nora shops at Saks and Lord & Taylor with the dog. The Charleses are too sophisticated for a classic suspense story. The novel’s false start, the original 65 pages he wrote and abandoned in 1930, had been set in San Francisco, with a darker plot and more conventional detective and a tubercular writer as the killer. When Knopf delayed The Glass Key from fall to spring publication, Hammett put this new manuscript aside. By the time he returned to the book, he moved the action east and made it about an ex-detective on vacation with his heiress wife in New York when a crime comes to his attention that demands a few of the skills from his old days at the Transcontinental Detective Agency in San Francisco. Nora insists he investigate; otherwise, he would stay retired. In February 1934, just after Knopf published The Thin Man, Hammett and Hellman headed south to spend four days in Miami. While drinking one night with his friend the screenwriter Nunnally Johnson, Hammett even managed to get himself arrested for tossing concrete rubble through a window of a Burdine’s department store. “I hate Burdine’s,” he explained to Johnson, who raised his bail. It may have been one of the happier times of his life, with a new book selling well and a movie adaptation opening soon; a Modern Library edition of The Maltese Falcon due in bookstores and his own comic strip that he scripted (at least at first), Secret Agent X9, running with great fanfare in Hearst papers since January. After some hard years, there was almost more money coming in than he could throw away. When he returned north that June, to New York, the Thin Man movie had opened, starring Myrna Loy and William Powell as Nick and Nora Charles, clinking glasses and hurling boozy repartee much like his own imagined banter with Hellman. In time he would come to despise his two creations, writing to Hellman that “nobody ever invented a more insuf­ferably smug pair of characters,” but the first Thin Man film opened with Hammett’s surprised blessing. Riding the train from New York to Los Angeles, he sent off a cable to Hellman from Kansas City and signed it “Nicky.” The year he turned 40 was as fine as any he had had. So I’m a bum—so what’s done of the book looks terrible—so I’m out here drowning my shame in MGM money for 10 weeks. The sixth novel would never come. Nick and Nora Charles still needed his attention. * The last of the six Thin Man films came out in 1947. Copyright © 2015 by Nathan Ward. 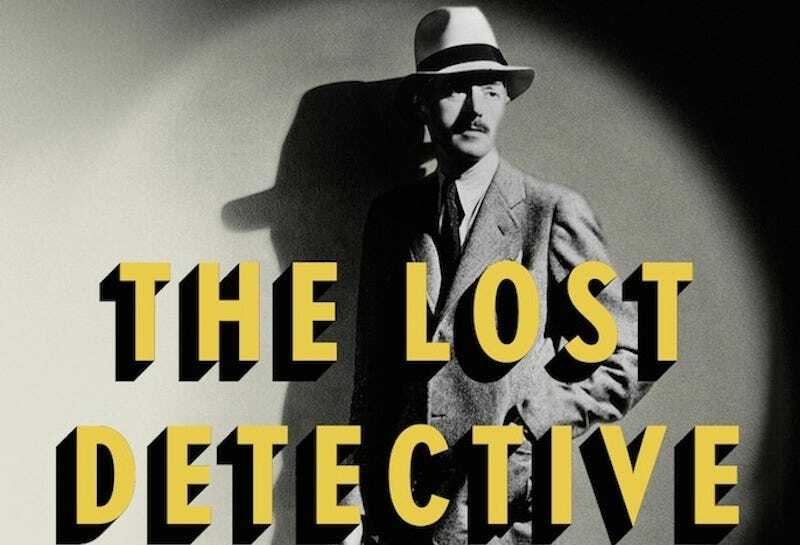 The Lost Detective: Becoming Dashiell Hammett by Nathan Ward. Reprinted by permission of Bloomsbury.